Apple has notified Genius Bars and Apple Authorized Service Providers that its inventory of displays for Late 2014 and Mid 2015 models of the 27-inch iMac with Retina 5K display is constrained until mid to late December, according to an internal service document obtained by MacRumors today. As a result, if a customer with one of those iMac models requires a display repair due to accidental damage, Apple has instructed its service providers to offer a free repair if the customer is willing to wait until mid to late December. If a customer is unable to wait, Apple will offer a functionally equivalent 2017 model 27-inch iMac with Retina 5K display to be paid for by the customer, minus a $600 or local equivalent discount. The Late 2014 or Mid 2015 iMac must be returned to Apple — the customer will never get it back. For example, if a customer takes a base model Late 2014 5K iMac with a damaged display to an Apple Store in the United States, and declines to wait until December for a repair, the Genius Bar is instructed to offer the customer a base model 2017 5K iMac for $1,199, down from its original price of $1,799. Note that the 2017 models will be Customer Replacement Units, or CRUs, but it's unclear if they will be refurbished or brand new. In order to qualify, the iMac must be out-of-warranty. If the iMac is still covered by AppleCare+ or Apple's standard one-year warranty, Genius Bars and Apple Authorized Service Providers are instructed to proceed with a standard repair. Note that only Late 2014 and Mid 2015 models are eligible — no others. Unsurprisingly, Apple says any iMac with excessive or catastrophic damage as a result of reckless, abusive, or purposeful conduct is ineligible for a free repair. This includes any iMac that has been crushed or bent, or partially or fully submerged in liquid. This isn't a free 2014-to-2017 iMac upgrade program. This procedure is to be followed by Apple Store and Apple Authorized Service Provider locations worldwide until display inventory is restored. 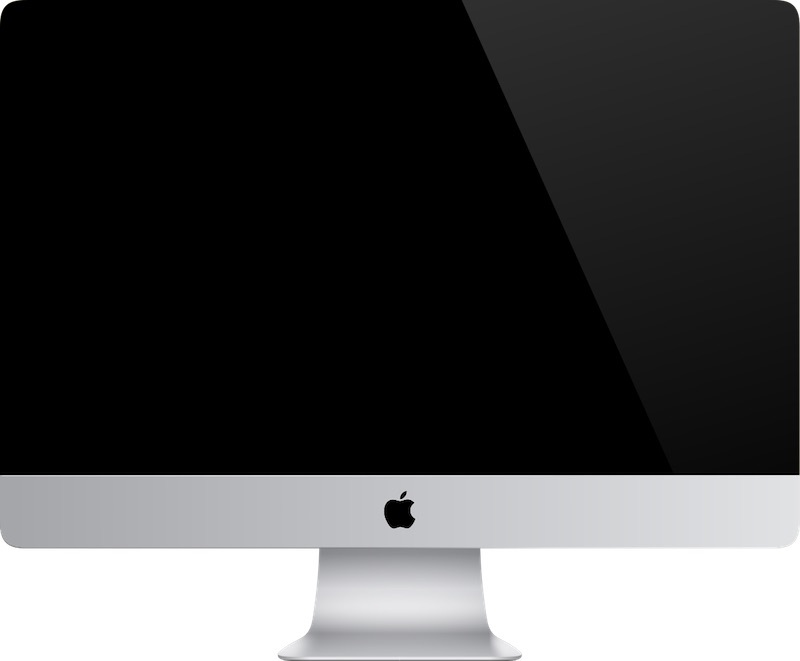 Non-end users with two or more eligible iMacs with a damaged display are not eligible to claim a free repair to prevent resellers from abusing the offer. All of this information comes from an internal Apple document obtained by MacRumors from multiple reliable sources, but we can't guarantee this procedure will be offered by all service providers. We also can't guarantee that all Apple employees or technicians will be aware of or acknowledge this temporary policy. To initiate a repair, head to the Get Support page on Apple.com. It's time for a redesign! Oh the joys of all-in-one computers. Amazing they support such old hardware. Weird. I can't imagine there are a lot of iMac displays that get damaged. Wish there were some rumors about the new iMac and iMac Pros. I need to buy a desktop. Hmmm 2015 wouldn't strike me as old, especially for Desktop Computers. Currently my 2015 Surface Pro 4 is on its way to Microsoft, to be replaced for free for a new one 3 years after, due to the dreaded flickering issue. Why? It's a nearly perfect, minimal design. However, I do wish they'd have some fun with the Mac and offer them in different colours. There’s something missing here. Free repair for damaged display?? In or out of warranty. Is the display prone to damage in normal usage? i.e. faulty/dangerous? If so, a $600 trade-in, for what should be a Woking computer is insulting. That Mac should have years of life left in it. Time was, for a defective Mac, Apple would swap it for an equivalent refurbished model with apologies. Let’s hope everyone with a defective iMac happens to have a stantdy just waiting around so they can endure the 3 month repair period, or the get a taste of the new improved stock market driven Apple ‘satisfaction’. It’s really not surprising Cook is not a fan of PC purchases, given he sells Macs and iPads (and iPhones) lol. And Jobs also thought far fewer people would need desktops or laptops; I’m sure you remember the truck analogy. You may not like it, but tablet computers—or even iPhones— are replacing PCs and Macs, whether notebooks and desktops, for many, many people. That’s not a prediction, it’s a fact. Since the iPad came bursting in to the scene, desktops and notebooks have been in decline. Combined, they sell about a hundred million fewer units than six or seven years ago. Apple sells more than twice as many iPads as Macs, for many years now. Macs have actually bucked the trend, pretty much maintaining their unit volume against an overall contracting market, so Apple has actually increased its market share with respect to PCs. Flawed analysis. Desktop sales declined not because of a tablets, but because you desktops last a lot longer because you get more value for your money. Your table doesn’t include the hundreds of millions who already have functioning desktops. Meanwhile nobody had a tablet in 2010, so purchases shot up as consumers did their first buying round. However the reality is that tablets are gimmicks at worst and toys at best, and will never replace laptops or desktops. A phone processor with no cooling that throttles itself at 30% load is useless for anything other than web browsing and watching YouTube, which is all most iPad owners do on them even after spending 1000+ dollars. Hell, you can’t even type an email on a tablet without wanting to kill yourself. iPads are redundant pleasure purchases for couch surfing, or expensive toys you give to your children. I wonder if the shortage of displays is caused by a new iMac going into production? Just being optimistic.